Here are 7 features we think you will like on the new version 1.4 for 7notes. You should have experienced mistakes by iPhone’s tiny software keyboard. 7notes brings comfortable text input mode which should be much better than iPhone’s tiny software keyboard. The first is “Stroke” mode for handwriting text, the second mode is “Convert” which converts your handwriting to digital font. The third is extended “software” keyboard with originally developed predictive engine. You can write a memo with your handwriting on your picture. 7notes can use your picture or images as the background. In the new version, 7notes provides tens of original templates for seasonal greetings such as Halloween, Thanksgiving, Xmas, birthday or other memorial day message. You don’t have to write or type whole sentences. 7notes has a state-of-the-art predictive engine with natural language technology. An alternative display appears while handwriting or inputting through our predictive engine. Our predictive engine generates an alternative display to suggest the correct word and all you have to do is tap the desired word on the alternative display. If there is more than one alternative, you can extend it to see more alternatives. While writing a memo, you may want it to remind you later as tomorrow morning, next Monday or just before your birthday. For example, write a small memo as “Pass the document to Charlie” and set the alarm as 9am tomorrow. Then the memo appears to remind you. It works offline when you cannot connect to your scheduler. 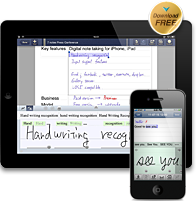 In this new version, you can use your handwriting and convert to SMS messages and mails. 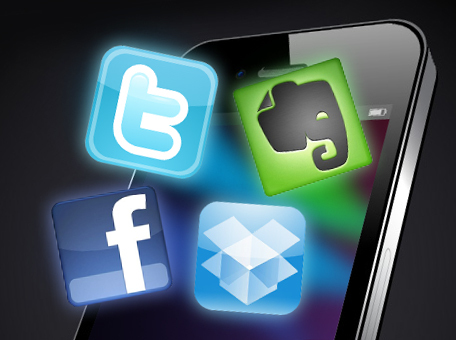 7notes has plenty of options to connect to other social and storage services. In a single operation without attachment or any outside application, you can post your note to Facebook, Twitter or store to Evernote, Dropbox and other storage services. 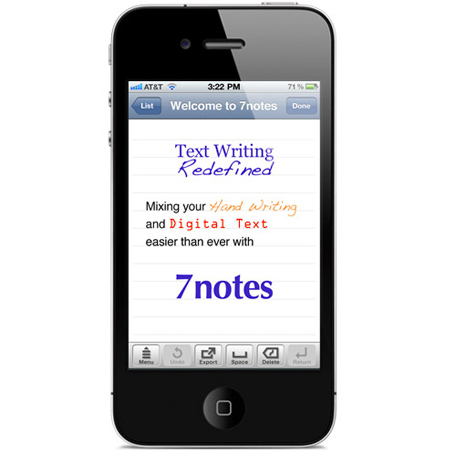 7notes can export and post mixtures of handwriting images and digital fonts separately to e-mail, Twitter, Facebook and SMS messages. You don’t have to write or type whole sentences. 7notes has a state-of-the-art predictive engine with natural language technology. An alternative display appears while handwriting or inputting through our predictive engine. We improved the accuracy for the predictive engine in version 1.4.